Durnford Turf® is an established business that provides quality turf, topsoil, bark and decorative gravels for all applications both domestic and commercial. Our range of turf covers all uses from football pitches and golf greens to domestic lawns and large landscaping projects. 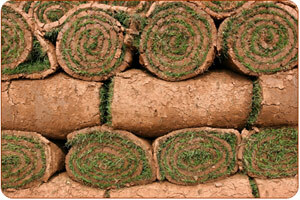 Suppliers and installers of high grade conventional and big roll turf for lawns, landscapes and sports grounds. House lawns. Amenity landscaping. Standard landscaping. INTURF Lawn Cricket outfields. Hard wear landscaping. Tennis courts, golf tees. INTURF Classic Sports pitches. Very heavy wear areas. A full range of landscaping products consisting of screened topsoils, blended loams, bark mulches and chips are available. 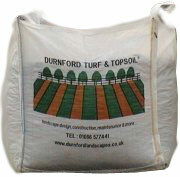 Durnford Landscapes supply turf, topsoil and blended loams which are the ideal base for turfing or general landscaping work. For exceptional value, please call 01666 577441 or email mail@durnfordlandscapes.com.